Billionaire Eli Broad and his wife Edythe have a number of philanthropic interests, including education and the arts. 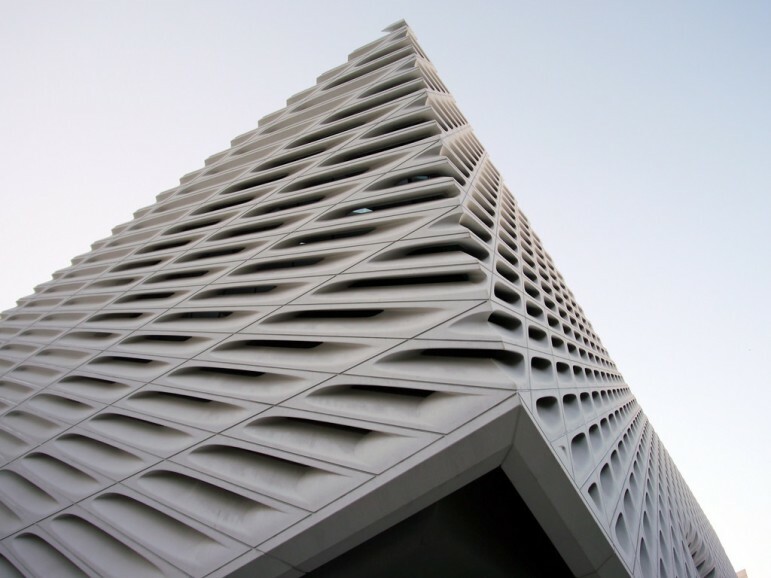 Yesterday, one of his endeavors in the arts, The Broad, a $140 million vanity vessel for his collection of contemporary art, opened to a picket line protesting one of his other initiatives—his avid funding and moneyed advocacy for the advancement of charter schools, as was reported here by NPQ’s Larry Kaplan. Broad is an indefatigable philanthropist, but he is also described as something of a control freak, demanding at one point as a condition for a charter-related grant in New Jersey that Governor Chris Christie stay in office. He gets ideas and then throws a lot of money at them to make them happen. This can give him a level of influence in a place like Los Angeles that some might consider out of alignment with democracy. An excellent article by Catherine Wagley in L.A. Weekly describes the dynamic in the L.A. arts arena, where he has invested deeply in his self-described plan to transform Grand Avenue, where both The Broad and MOCA are located famously right across the street from one another, into the Champs-Elysées of Los Angeles. Those picketing were protesting Broad’s involvement in a plan to significantly increase the number of charter schools in the L.A. school district. The group comprised students, parents, educators, and others involved and invested in public schools, albeit without the ready cash to capture the riveted attention of public officials. Broad also threw his support behind efforts to defeat Proposition 30, which would have raised taxes to fund public schools, supporting in part…arts programs. You can see why the situation carries its own special sting for those protesting yesterday. The Los Angeles Unified School District’s more than 207 charters have enrolled 16 percent of the students in the district, giving L.A. more charter schools and charter students than any other school district in the country. Broad’s foundation has invested $144 million in charter schools, and local charter school representatives involved in the expansion plan say that it will be ambitious, aiming at enrolling up to half of all L.A. students over the next eight years. Those schools would be non-union and many worry both about accountability to parents and the community and about draining badly needed funds from the public schools.